~ Putting some love back in to this pub…. We’ve been really excited about Nick returning to the kitchen after his vacation and hearing his tales from a far-a-way land…particularly as February and it’s grim weather hasn’t exactly inspired us in most aspects. “In a departure from my weekly seventy-five-hour-dose of blood sweat and tears in the Baron Of Beef kitchen, February felt like the ideal time to escape and perspire in a new location: Vietnam. Having lived in Vietnam’s capital, Hanoi, some time ago, I still have friends in country, albeit in Ho Chi Minh City, aka Saigon. An opportunity to see old friends, and explore a new city and its food, in a country I love, was too good to pass up. Vietnamese food delicately balances sugar, garlic, heat from chilli and pepper, salty fish sauces and citrus acids with three main pungent herbs: sweet basil, Asian mint and coriander. This triumvirate of clean, refreshing flavours, coupled with noodles or rice, and often rich, cloudy broths, will marry with just about any meat. Seafood, poultry, beef; quite literally from frogs to dogs. And although meat is prized, vegetables are equally celebrated. Veggies are often drenched in garlic infused oil, while salads of green leaves and the aforementioned herbs are used to fill spring rolls, stirred into noodle dishes or left as a generous side to be dunked into spicy soups and dips. 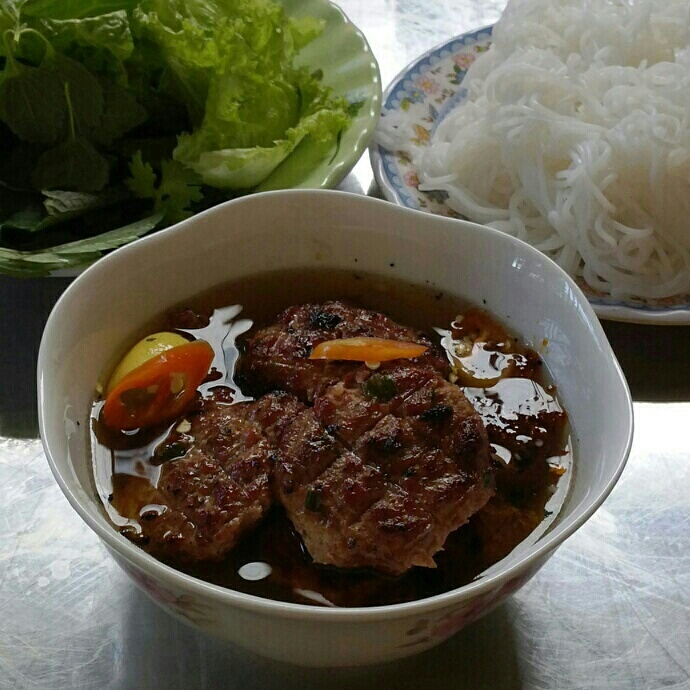 One particular avenue of Viet cooking that captured my imagination is “kho”, which means cooked in a clay pot. It often features chicken, beef, pork or flaky white fish which is slowly cooked with sugar, chilli, garlic, lemongrass and ginger. This is the closest to British stew that Vina cooking gets and is insanely rich and moreish.